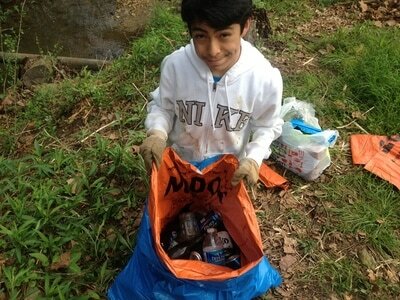 The City of Asheville has partnered with Asheville GreenWorks to launch the Adopt-A-Spot program. Businesses, organizations, or individuals can choose a City-owned piece of property that they wish to adopt. The responsibility of the adopter will be to maintain either an edible or pollinator garden in this location. The program provides recognition of adopters through dedicated signage at the site. 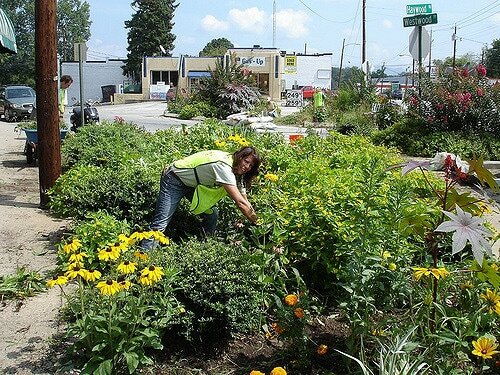 Make a positive impact on Asheville by promoting stewardship of publicly owned places. Have a spot you'd like to adopt? 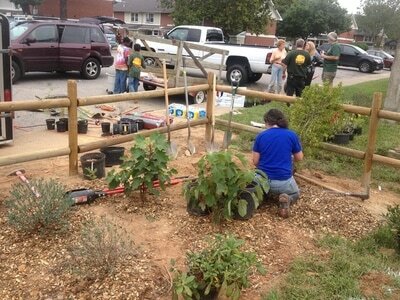 An Adopt-a-Spot project can include several different types of activities. 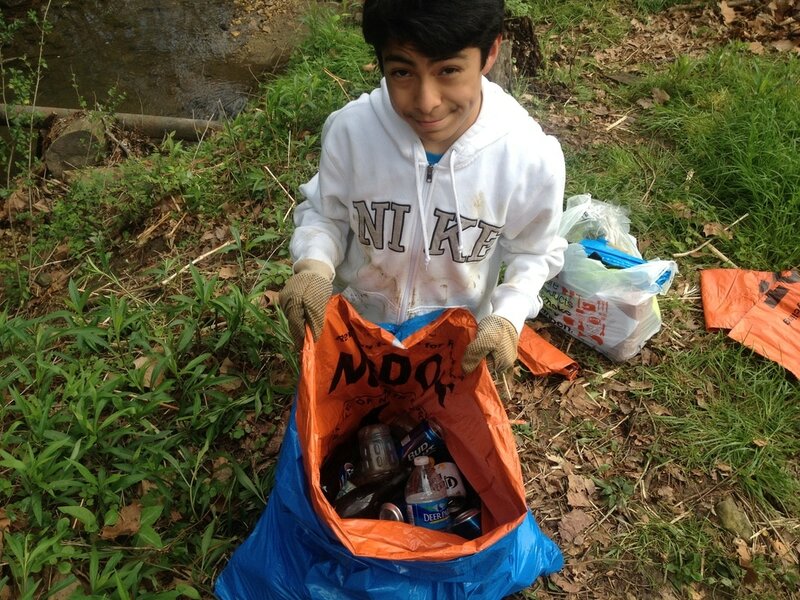 It may be as simple as picking up stray litter in your local park once a month, or it may be a longer-term project such as weeding, planting and maintaining a specific area. 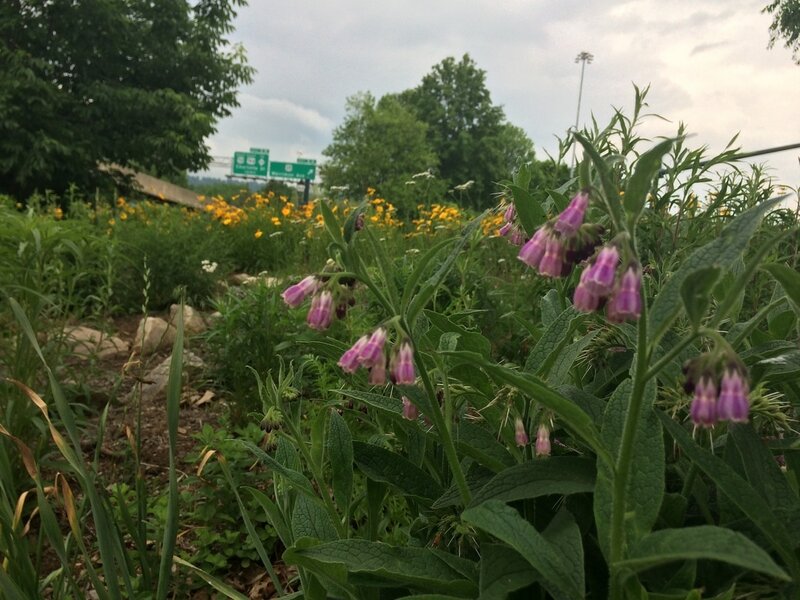 ​As the inaugural Bee City, Asheville is an ideal location for planting pollinator habitats. Pollinators are responsible for ¾ of the world’s food supply and are vitally important to the health of our local urban forest. 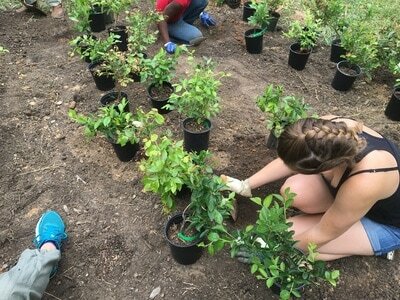 Pollinator plantings are both beautiful and ecologically sound features of the landscape, attracting butterflies, birds and bees into urban areas. A list of pollinator-friendly plants and local nurseries where they can be purchased can be found at www.beecityusa.org. Invasive exotic plants disrupt the ecology of natural ecosystems, displace native plant and animal species, and degrade our biological resources. Aggressive invaders reduce the amount of light, water, nutrients and space available to native species. Some cause increased erosion along stream banks, shorelines and roadsides. Common invasive species in this area include kudzu, knotweed, English ivy and privet. Many Adopt-a-Spot projects will require invasive plant removal to prepare the land for planting and to prevent invasives from taking over existing and new plantings. 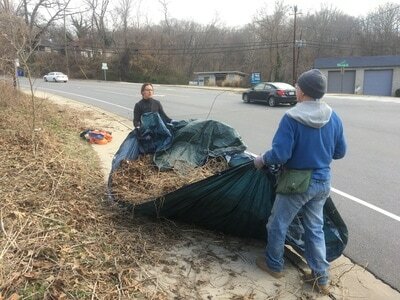 ​Bulb-outs are areas that extend from the sidewalk along the sides of the street. They are typically in place at cross walks or on street parking. These areas can typically be accessed from the adjacent sidewalk. Through Asheville’s Adopt-a-Spot program, bulb-outs can be used for planting edible and/or pollinator gardens. Volunteers must use extra caution when working along streets and roadways. To Adopt-a-Spot, download, print and complete the application below.